A one day interactive media skills workshop. Expert radio and TV coaching from top journalists. This masterclass will give you the confidence to handle broadcast interviews confidently and positively, structure effective key messages and help you to develop a powerful communications and media strategy. Training is hands on and practice based. You will be working with experienced journalists and have a camera crew film your interviews, receive constructive feedback in a friendly and supportive environment. Minimise the impact of potential crises on your organisation. When a crisis unfolds within your organisation or an issue suddenly escalates, there is no time for practicing your responses to the media. You do not get a second chance to respond promptly, clearly and sensitively. Therefore, having good procedures and agreed responses in place will help you to protect your reputation and minimise potential damage. This workshop can be tailored to your requirements and focus on crises, issues, or both. This training is appropriate for CEO’s, senior and middle management executives / commuication staff. Participants: Course maximum of 6 people. Be a voice - not an echo! Practice and see your presentations on camera with Channel56. We will film your presentation and playback on screen for you to review. This workshop is aimed at improving your public speaking and communication skills. We will give you the tools to deliver high quality speeches and effective presentations with confidence and clarity. You will practice your presentations on camera and see yourself on screen. Create a successful media strategy and improve your online presence. The World is Digital – it impacts on every facet of life shaping and defining how we communicate and interact on a daily basis. There is no escaping the importance of social media and this session will help you get to grips with getting your message across in the crowded ‘cloud’. We will also provide a comfortable space for those questions you really want to ask about social media! Practical advice on how to promote your organisation through the print media. This media training course is aimed at giving participants practical advice on how to promote themselves and their organisation through the print media. The workshop is designed to give participants a real insight into the way the media works, exactly what journalists are looking for in a press release and practical experience of writing a press release. This training is appropriate for senior and middle management executives / communication staff. Participants: Course maximum of 8 people. This two day workshop suits those new to digital video editing, digital educators and existing iPad videographers. Day One covers the editorial and technical aspects of mobile video storytelling and offers the chance to practise recording with multiple iDevices and microphones. Day Two provides experience in importing footage from multiple sources including other i-devices, organising said footage and editing an interview-based piece using the iMovie for iPad app. Shoot practice media will be recorded during the training on the first day. 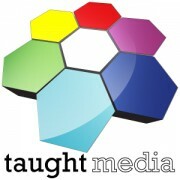 Edit media for the second day will be supplied via Dropbox just prior to the course. You will need to have installed Dropbox (free) and supply the email address the account is registered against. Existing Dropbox users will need 100Mb of their storage allowance available. • Crafting the story--the planning and editorial. Media Training cancellations are subject to terms and conditions.